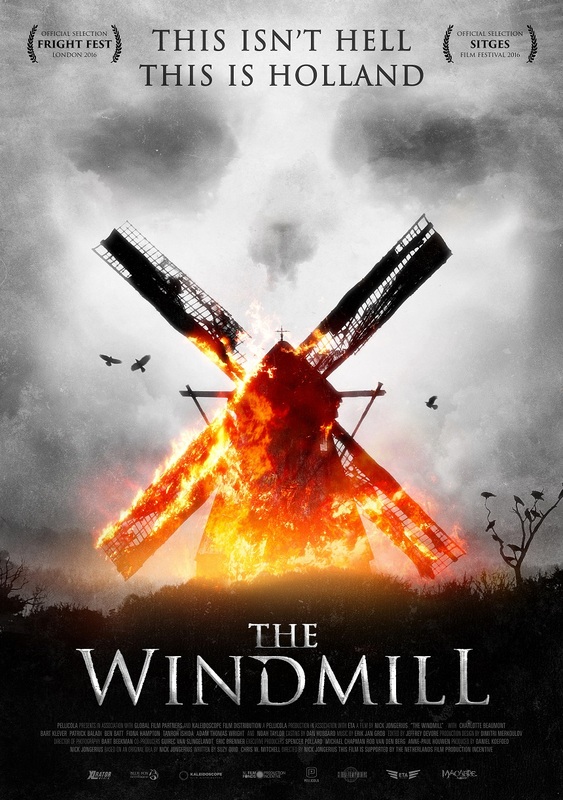 Nick Jongerius' slasher flick The Windmill just had it's World Premiere at Fright Fest London and it looks like it will make another stop at the equally famed Sitges film festival. Where it goes from there into the rest of World we here in North American will not have to care about because everyone gets a stab at it right before Halloween. A group of unsuspecting tourists awaken a mysterious evil while on a trip through the Dutch countryside. Those of you looking for North American dates will be pleased to know that XLrator Media swooped in and picked up the rights for The Windmill very quickly and are releasing the film in cinemas on October 28th and on VOD and iTunes a few days earlier on the 25th. Just in time for the most haunted of holidays! Hoera!!! And here is a look at the key art for the movie so you know what to look out for at your local multiplex! Say Hello To THE ABDUCTEE! THE WINDMILL MASSACRE: Watch The First Trailer Now! this does look like one to keep an eye on. - i'm not terribly big into horror films myself. ...pretty much the only horror films i'll swear by are Deep Rising, Burning Bright, The Aggression Scale, Treehouse, Open Grave, and A Lonely Place To Die..
...haven't seen Don't Breath. ..Probably will; - but i'm oddly on the fence about that one.